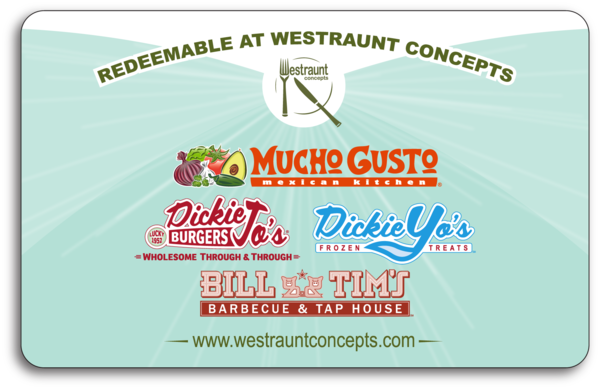 Giving is easy with gift cards from Westraunt Concepts. They are available in any amount greater than $5 and may be used at any of our locations. We offer a 10% discount on gift card purchases of $100+. To purchase gift cards, please call 541-912-9092. To check your gift card's balance, click here.